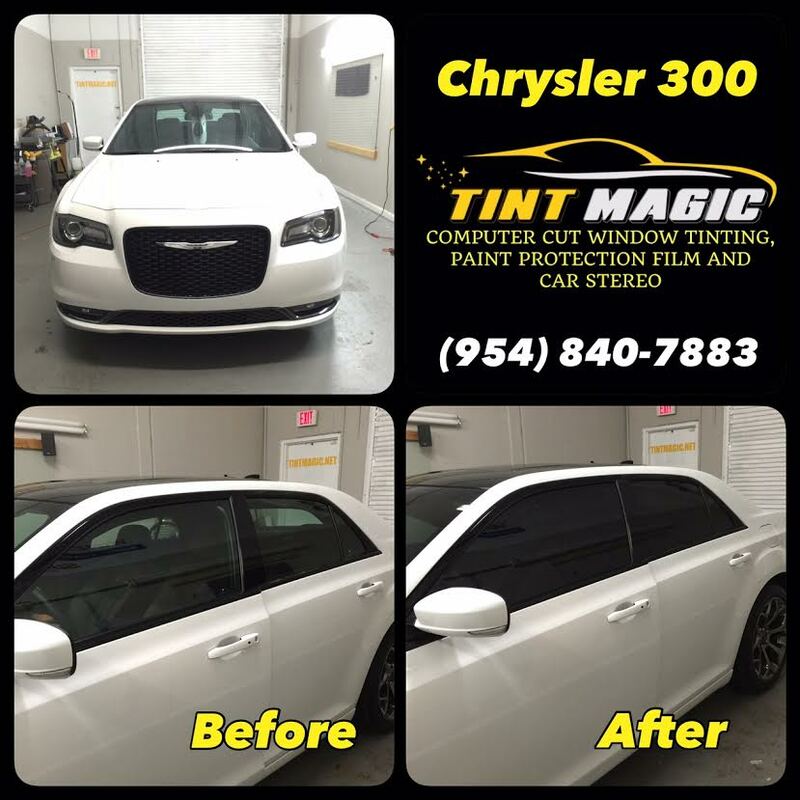 Chrysler 300 at Tint Magic Window Tinting Coral Springs. Tint Magic Window Tinting use Computer cut window film on all window tinting installation. We only put on the computer the year and model of your car and the advanced software pre-cut the pattern perfectly. Call us for a free estimate! (954) 840-7883. The elegant, spacious and comfortable 300 is not only a great long-distance cruiser, it is also unexpectedly surefooted when the route gets twisty. The base engine is a 292-hp 3.6-liter V-6 with rear- or all-wheel drive; the S makes 300 hp with rear- or all-wheel drive. A 363-hp 5.7-liter Hemi V-8 with rear-wheel drive is optional. An eight-speed automatic is standard on all models. Regardless of how it’s outfitted, the 300 remains a handsome sedan that delivers performance and style. Most cars’ journey through a single life cycle—from launch to midterm update to giving way to something newer—can be tracked through the massaging of fascias, tweaks to head- and taillights, and updates to the available color palette. In the case of Chrysler’s second-generation 300 sedan, however, it also includes an ever-evolving tapestry of gearshifters. All 300s once had a meaty shift lever that slid through the typical PRND detents, but when Chrysler’s ZF-sourced eight-speed automatic transmission began trickling into V-6–powered 300s, those models received new, Audi-esque, low-profile electronic shift levers. Now, as part of a mild refresh for 2015, the entire 300 line has adopted the same rotary shift dial as the smaller 200 sedan.